This book is for Hyper-V administrators who are looking to take advantage of all exciting new features that Microsoft Server 2016 Hyper-V has to offer. Hyper-V 2016 is full of new features and updates. 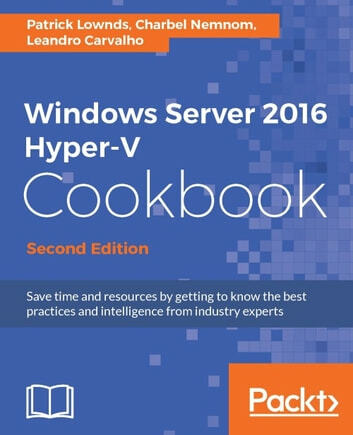 The second of our best-selling Hyper-V books, the Windows Server 2016 Hyper-V Cookbook has it all covered. Brimming with expert solutions and techniques, you'll have everything you need to master virtualization and Hyper-V Manager. This Hyper-V book is designed to help advanced-level administrators benefit fully from the new Windows Server. 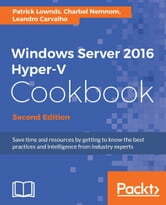 With over 80 hands-on recipes, the Hyper-V Cookbook gives you tips, tricks and best practices to deploy, maintain and upgrade your virtual machines.